This is the dramatic moment police saved a women from a sinking car in Australia. The vehicle was driven off a boat ramp and into the water, according to media reports. 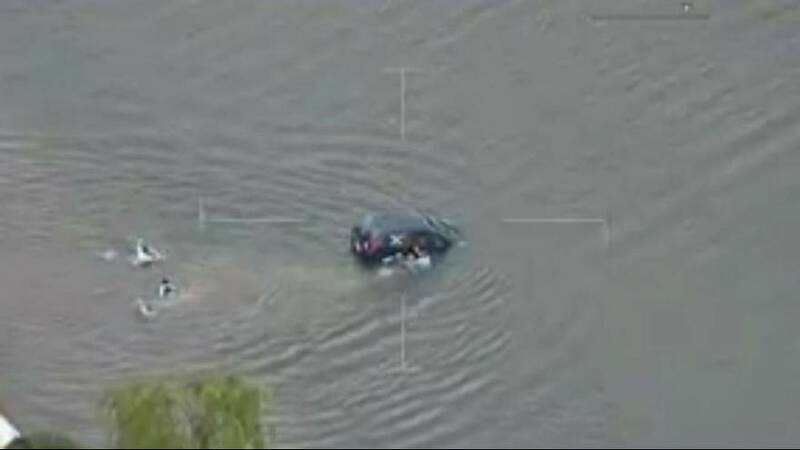 Officers arrived to find the vehicle submerged in Georges River, near Sydney, on Sunday afternoon. They swam out to the car and broke the driver’s window in a bid to save her. A police spokesperson told The Sydney Morning Herald the woman’s leg got caught, pulling her underwater. But she was eventually saved as officers pulled her to the shore. It is unclear why the car was driven into the water although police did tell media drugs were understood to be involved.